The information below was in reference to a previous black friday promotion, and is included simply as a reference. 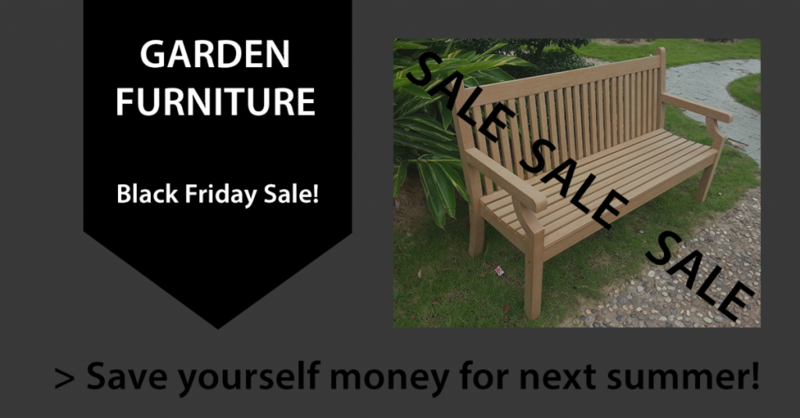 I was looking around the garden industry online during my black friday deals research, and came across this black friday Winawood™ bench deal from Gardencentreshopping, where you are guaranteed free delivery and a major discount on all products! As far as I could tell from their facebook page, the deal is only valid until midnight tonight, so they are clearly trying to play up to the public black friday trend, one of the very few I have seen in the garden industry in 2014. As the market tends to be a bit older, they do not make hasty decisions, and also don’t conform to the standard online behaviours of traditional shoppers. This advert can also be found spread across twitter and google plus respectively, and shows a dedication to creating a buzz, all at the same time, in an attempt to boost sales, which will clearly be lacking in the garden industry currently during the Winter months! The video above is another little piece of promo material I found when digging around about the company, and they are clearly making efforts to create a profile in the industry on all platforms.